To celebrate the launch of the world’s first personalised pillow, nanu, we’re giving away the perfect bespoke sleep bundle. The lucky winner will receive two personalised nanu pillows, an Orla Kiely bedding set, a HA Designs personalised eye mask, and a pair of Sleepover Club personalised pyjamas, guaranteed to give you the perfect night’s sleep. When it comes to sleep, nanu believes that no two people sleep the same, so everyone should have the option of creating a pillow that’s perfect for them. Design your perfect pillow via the nanu website by answering a series of questions about your sleeping habits. Using your height and weight measurements, together with the sleep preference and softness indicator, the information is used in an algorithm, making the right adjustments to create the perfect pillow for your needs. As well as being super soft and allergen free, nanu pillows are environmentally friendly. Every nanu stops 20 plastic bottles going to landfill, meaning you’ll sleep easy and with a guilt-free conscience. A good night’s sleep helps reduce stress, improve memory, lower blood pressure, improves your mood, keeps the heart healthy and makes you smarter – so get yours with nanu today! The Nanu personalised pillow costs £30, or two for £50, and is available online at https://nanusleep.co.uk/. 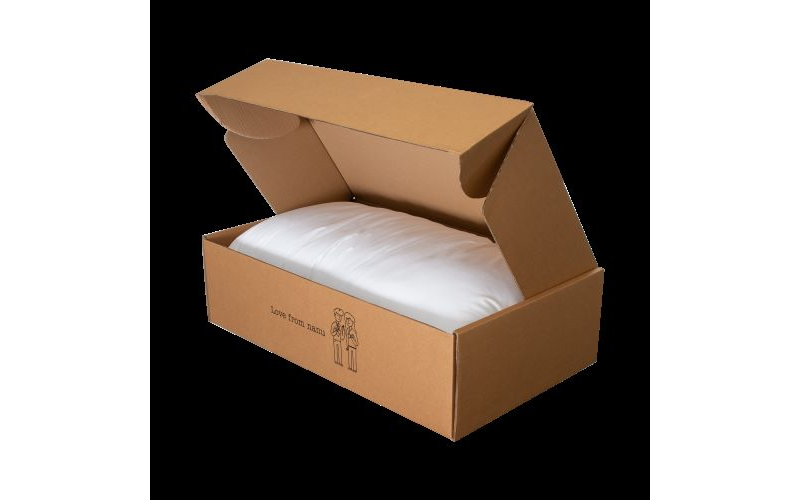 The pillow includes free delivery, free returns, a two-year guarantee and a 30 night free trial.